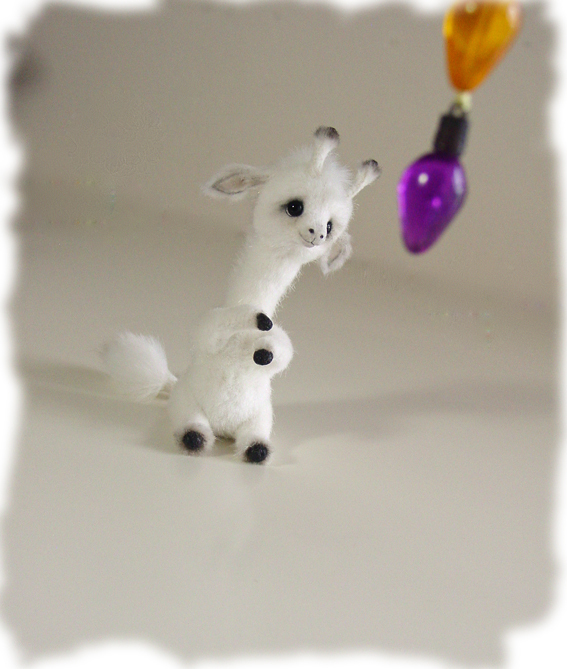 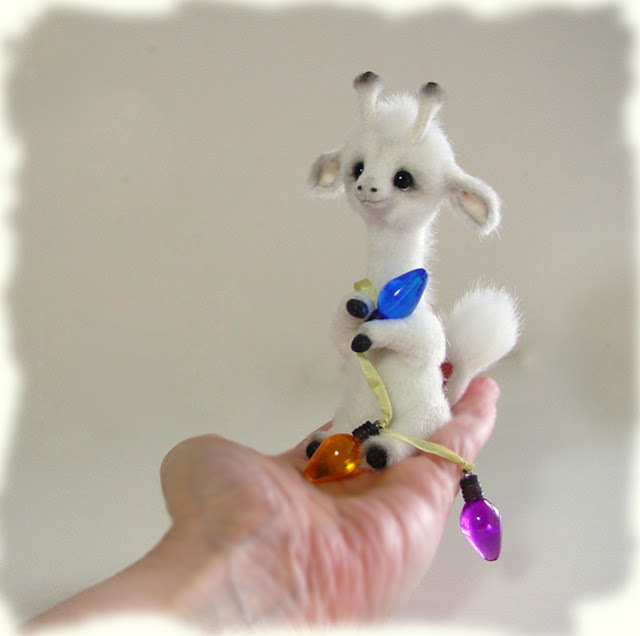 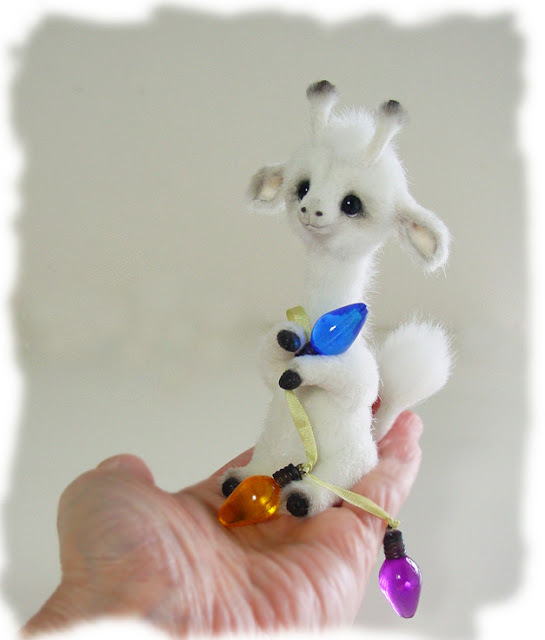 Little Ollie (around 5 1/4" tall) is ready to help you decorate for the holidays :). 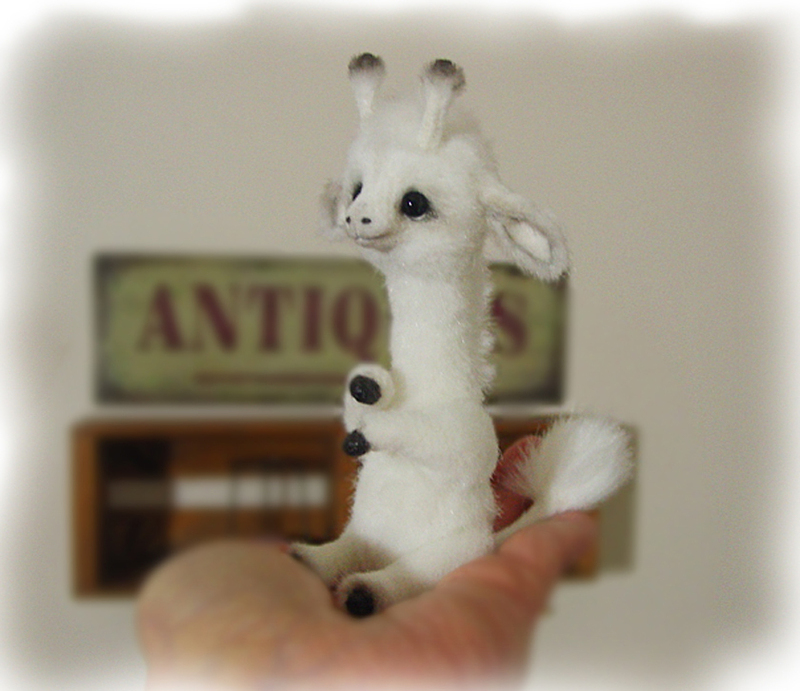 He is made out of Schulte faux fur with guardhairs and Tissavel faux fur for his mane and tail . 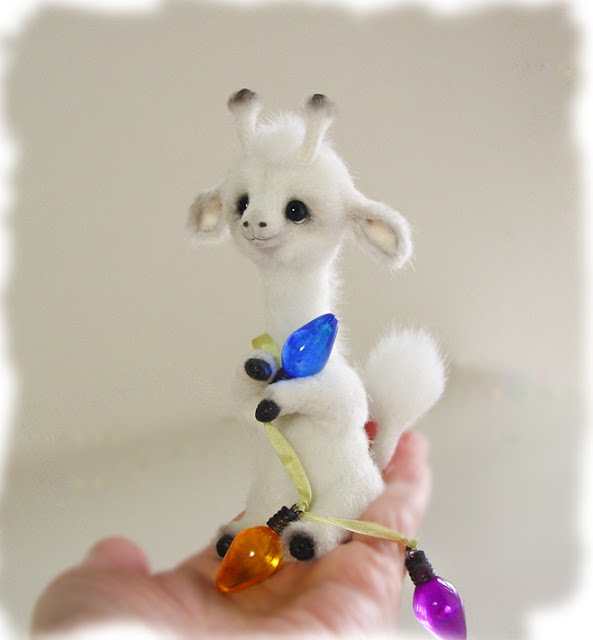 He has black glass eyes with eye details and is locknut jointed with armatured arms and wired tail + ears :).